Yesterday Room 9 was lucky enough to have Constable Merv Hotter come in and talk to us about being safe around roads and vehicles. 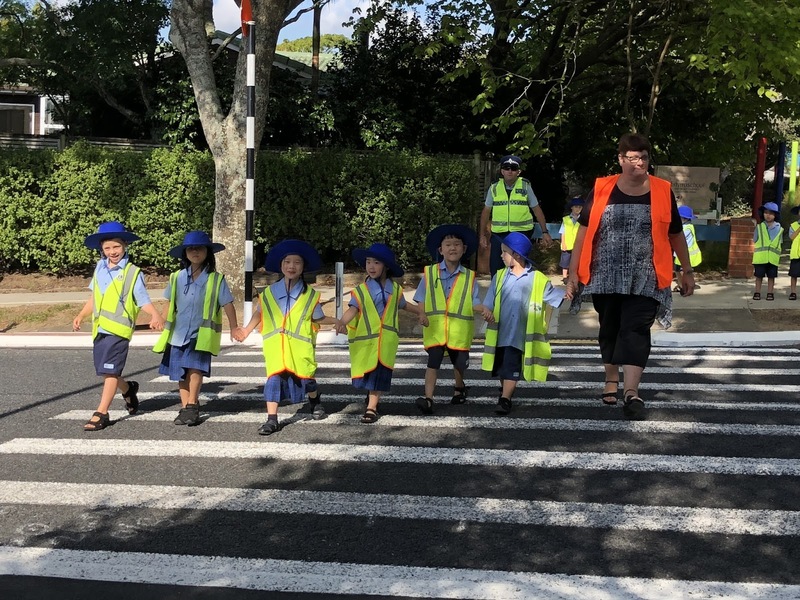 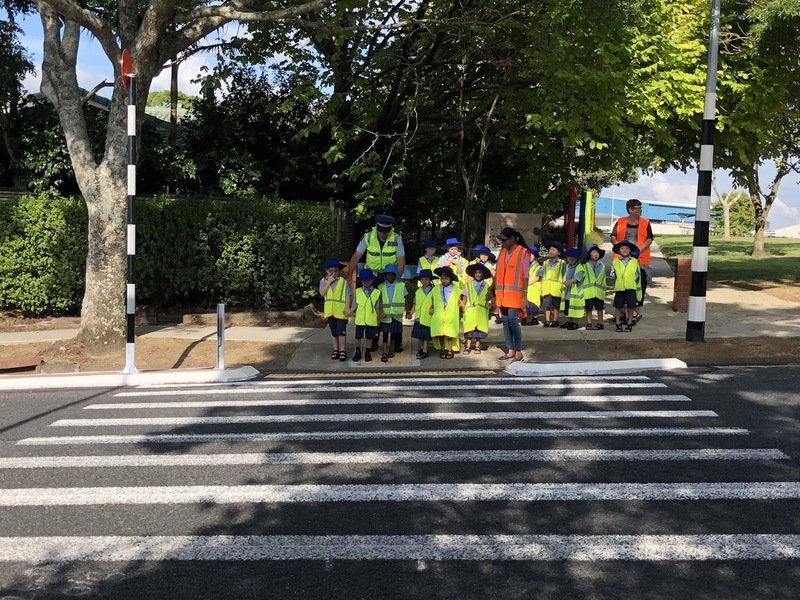 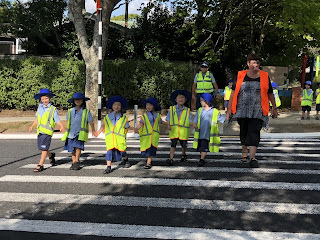 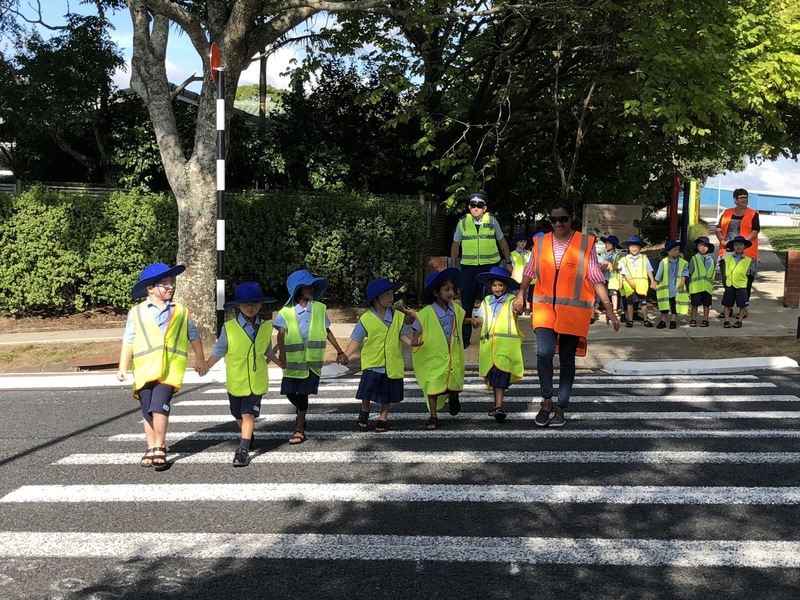 We learnt all about how to stop, look and listen before we cross the street. 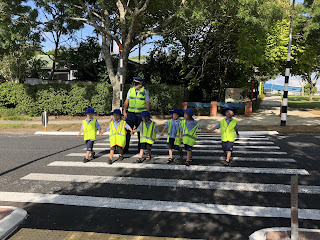 Then we got to go out and practice crossing the road. 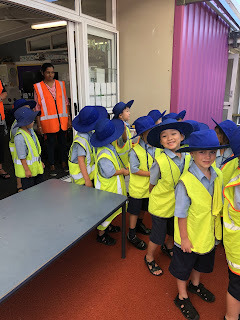 We were good at it! 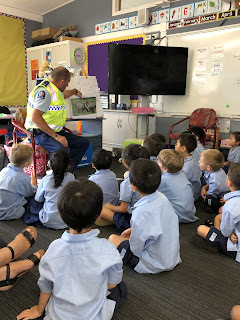 Thank you for coming to help us learn Constable Merv! Great that you are learning about road safety Room 8. 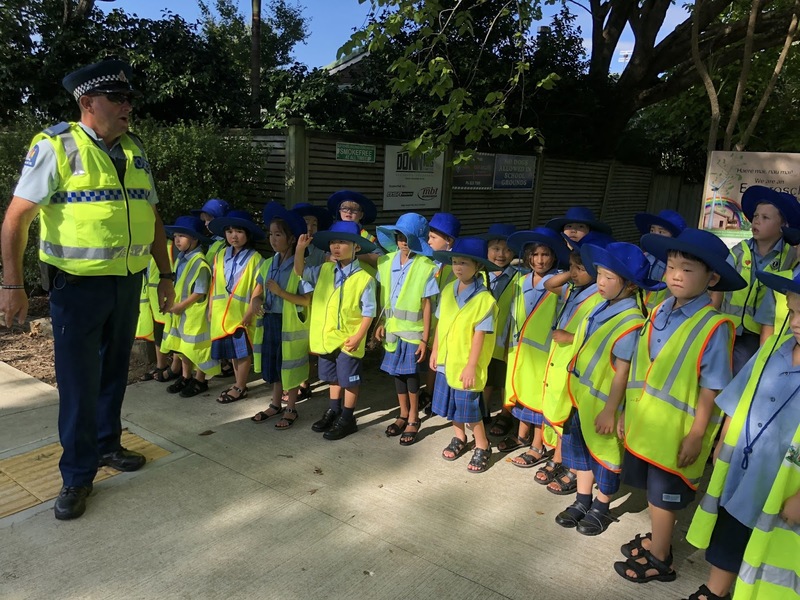 You might have a younger brother or sister that you can teach. 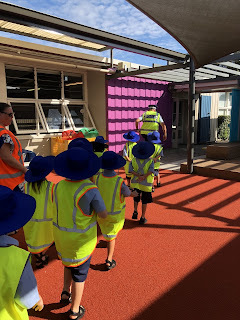 Great room 9, walking safely across the pedestrian crossing and past some of those sneaky driveways. 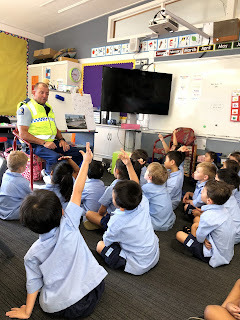 We are lucky to have Constable Merv to help teach us!